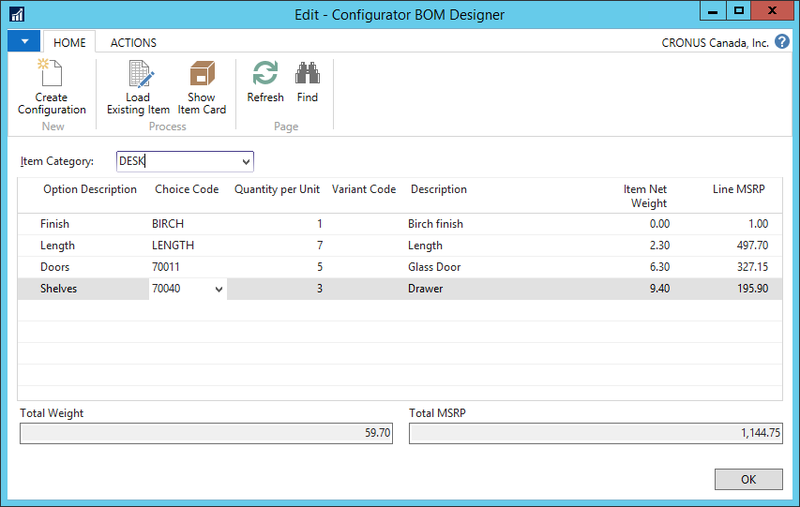 Say goodbye to manually managing product options and variations and say hello to Product Configurator from Insight Works – a light-weight add-on for Dynamics 365 Business Central that significantly simplifies the creation of production Bill of Materials (BOMs) and Routings, or Assembly BOMs, to make Quote and Order generation more efficient. Define product categories and options to allow sales personnel to easily select options to build new products or reuse existing configurations. With Product Configurator, it is easy to set-up and select specific options for products that you sell. 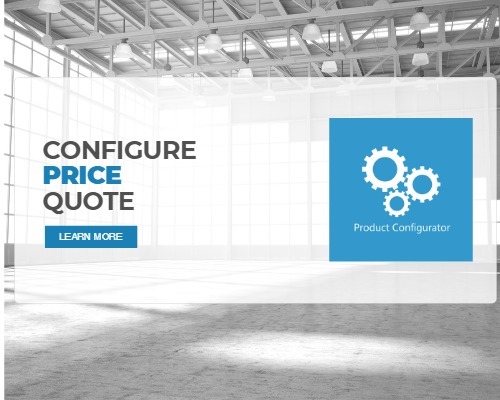 Whether you assemble or produce simple items with only a few configurable options or more complex items with thousands of options, Product Configurator reduces data entry time while increasing order accuracy. Users can choose a base item to configure or select an item that has already been customized and make modifications to it. As users alter the item, the retail price is automatically calculated for easy quoting. Product Configurator enables users to set combination rules for specific products. For example, when building a bicycle, if a specific style of handlebars is selected then a specific lamp will be included while the bell will be excluded. When it comes to bulk material usage, multipliers can be used to ensure automatically generated BOMs include waste and trim material. For example, a window frame may require an additional 10% of frame material for production purposes which will be cut and trimmed for the final product. For anyone who may require more sophisticated rules not supported by the user interface, Product Configurator includes an API that is configured with the C/AL Editor. These rules can be done without a developer license, allowing end-users to create “scripts” for rules. With Product Configurator you no longer need to individually account for every item and part that goes into your products. An assembly or production BOM is generated behind-the-scenes whenever a new item is configured saving you time and increasing accuracy. 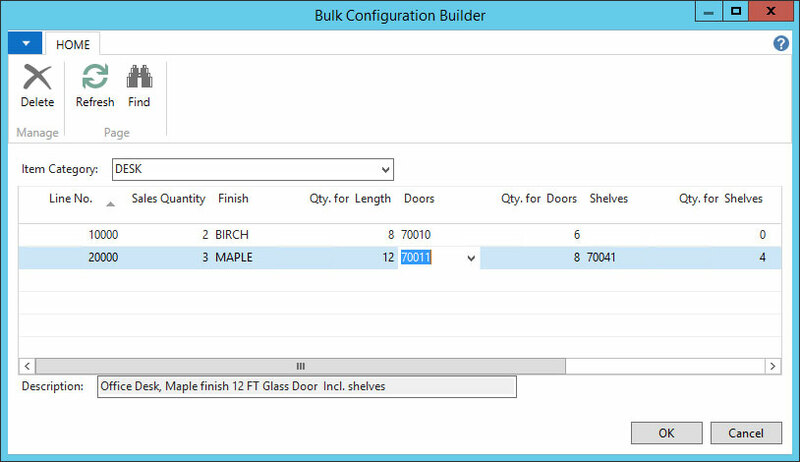 Product Configurator is easy to use with a simple interface to add and configure line item options. 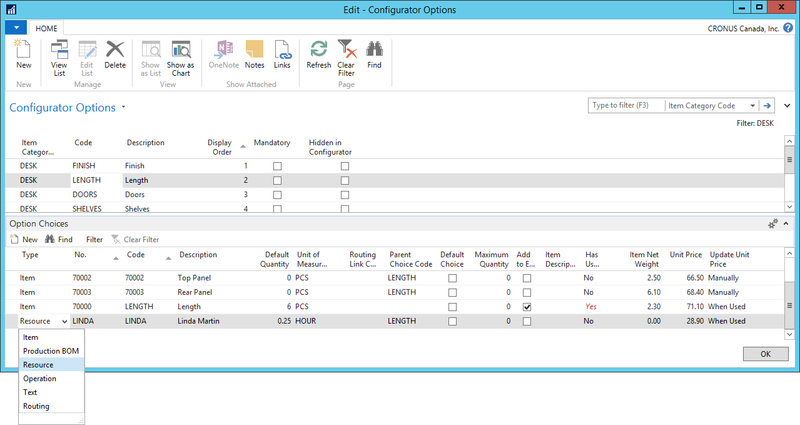 Depending on permissions, anyone can create and configure options easily. Users see the entire set of options simultaneously, so they get the full visibility into what they’re designing at all times. If you’re looking for a Point-of-Sale solution to work in tandem with Product Configurator, look no further than POS Insight. POS Insight from Insight Works is an add-on for Dynamics NAV that is an affordable and easy-to-use sales terminal for industries that offer counter sales. 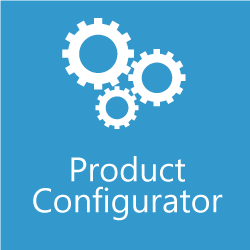 Product Configurator easily integrates with Dynamics 365 Business Central and takes very little effort to set up and start using. You don’t need to be a big shop to afford or justify Product Configurator. The Dynamics 365 Business Central add-on is an affordable solution for any size business. 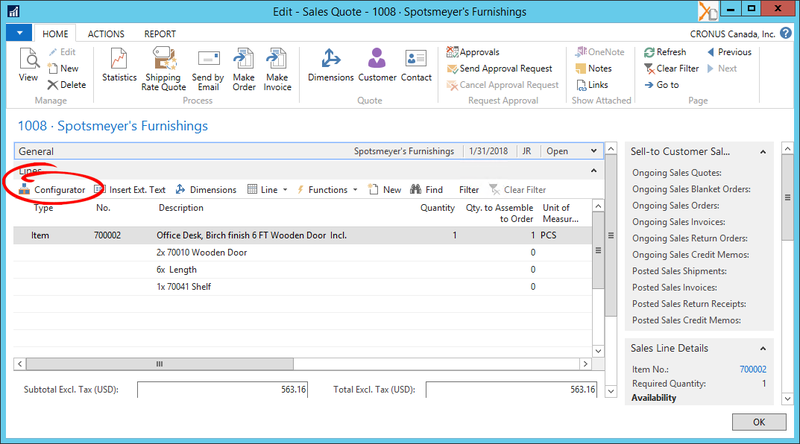 Counter Sales is an affordable and easy-to-use point of sale solution add-on for Microsoft Dynamics NAV and Dynamics 365. See it in action – book a demo!